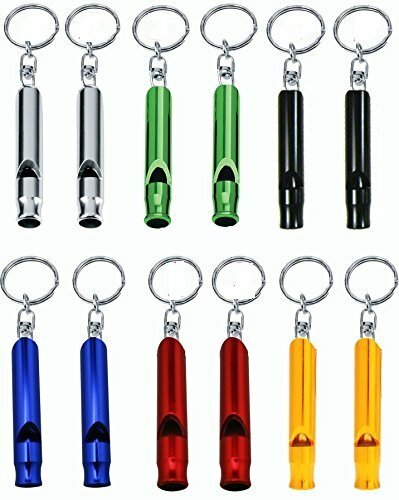 This Aluminum Whistle Key Ring in assorted colors is perfect for mountaineers and other outdoor adventurers. Make sure that your emergency survival kit is equipped with this fun colored whistle that comes with a reliable key ring to keep you from losing this essential item. It is made from durable, waterproof, and rust-proof aluminum for superior durability and efficient functionality. The package comes in 12 different colored whistles of red, green, blue, silver, black, and yellow.